Refrigerated trailers are complex machines; there are many parts that need to be working correctly for them to function as designed. Any driver providing refrigerated truck delivery service should have an intimate knowledge of the functions of a refrigerated trailer. 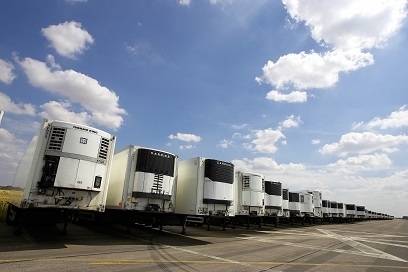 So, in order to assist and provide knowledge to our carrier partners, we designed a series around how a refrigerated unit works (check it out here: Refrigerated Trailers – Part 1: How They Work, and here: Refrigerated Trailers – Part 2: Temperature Settings). Most recently, we wanted to expand our knowledge in this are by looking at some of the most common malfunctions that refrigerated trailers face, and what can be done to prevent them. Preventing malfunctions will in turn, prevent your exposure to claims and/or additional charges. 1) Fluid Leaks: this is a common malfunction mainly in part because there are so many working parts and different types of fluids in a reefer unit. Most common leaks include engine oil and coolant (for example, coolant leaking from your reefers equalizer tube). Keep your unit on its maintenance schedule and get into a service center as soon as you see a leak of any kind to prevent further issues due to leaking fluids. 2) Faulty Belts and Hoses: cracks, tears, and wear on belts and hoses can affect the reefers performance; it may have to work overtime to accommodate the wear, and might not cool effectively if there is, for example, a crack or hole in a cooling hose. Examine the condition of the belts and hoses related to your reefer unit prior to each load, as part of your pre-trip inspection. 3) Faulty Calibration – In some ways, this malfunction could be the most dangerous as it may go unnoticed. 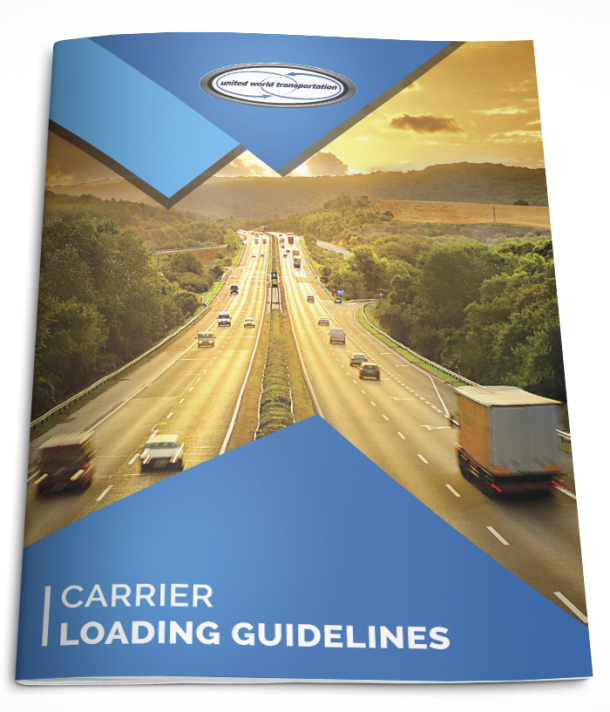 A driver may think everything is fine with his reefer, but in fact, it is out of calibration. A non-calibrated reefer can cool at a slower or faster rate than desired. Make sure that your reefer’s calibration is checked at each service interval. 4) Damaged Air Chute – On all produce loads, it is recommended that that air chute is installed, with no compression. As product is loaded in and out of the trailer, it is very easy for a chute to become damaged. Rips and tears in a chute are common occurrence, and the result is improper air distribution and flow from the reefer unit to the rest of the trailer. This will create cool and hot spots in the trailer, and damage the loaded product. Drivers should examine their air chutes on a regular basis to ensure they are intact. 5) Condenser Issues – The condenser is one of the key components to the refrigeration unit in a trailer. If there are any kind of issues in the condenser, they will surely affect the load. Examples of issues are broken or damaged coils, clamps or bolts missing, and leaks. 6) Sensor Malfunctions – Sensors in the refrigeration unit need to be calibrated and working. For example, If the return air sensor is damaged or malfunctioning, it will cause inaccurate readings of temperatures; these temperatures will also be incorrect on the display reading. Like faulty calibration, this is one area that may go unnoticed for some time. A driver may think everything is good with a load, but if the sensor is broken, they will have no way of knowing if there is an issue. Make sure that this area is also checked when your refrigerated trailer is serviced, and take care of the issue as soon as you notice a problem (which may be observed if the load you are carrying has a template recorder). 7) Door Seals damaged – the doors of a refrigerated trailer need to have a complete seal on them to contain the ambient temperature in the trailer. For example, if the door hinges are broken, the seal on the trailer will be affected. Drivers should make sure that they examine their trailer door hinges and test that the door seals completely when closed prior to each trip. 8) Blocked Bulkhead – A blocked bulkhead can affect the temperature at different areas in a trailer. Blockages can cause freezing on top boxes near the bulkhead and warming of product at the tail end of the trailer. Driver should make sure all air passages are clean, and periodically remove the forward bulkhead and make sure the airways are clean and free of debris. Belts – will check and adjust as needed. Codes present (alarm and fault codes) in the reefers computer system. Run reefer unit operation by setting unit and waiting for it to cool down to set temperature. The malfunction lists and the service check lists presented are not exhaustive; we have only provided a snapshot of the common areas with issues and common areas checked during service. Are there any other items that you commonly see while providing refrigerated truck delivery services? Let us know by commenting below!